A Glenn County Sheriff's Deputy contacted 27-year-old Rebecca Colyn on North Humboldt Avenue in Willows late last week where the deputy discovered alleged narcotics. Glenn Inter-agency Narcotics Task Force agents took over the investigation and reportedly found around 36 grams of suspected heroin along with narcotics paraphernalia inside a vehicle. 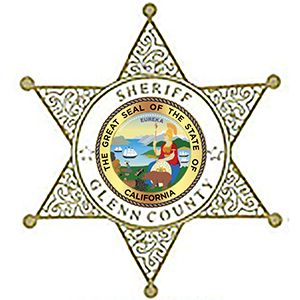 According to a Glenn County Sheriff's Office press release, Colyn was arrested and transported to the Glenn County Jail. Glenn Inter-agency Narcotics Task Force Agents also found a stolen vehicle from Chico. Agents arrived to Cutting Avenue in Capay before 3 Tuesday afternoon and located a 1973 Ford Bronco that was reported stolen out of Chico over the weekend. The owner of the Bronco was contacted and was able to retrieve his vehicle. Chico Police are currently investigating the incident. One State Lawmaker wants to stiffen penalties for anyone caught looting in a disaster area during a state of emergency. State Senator Ted Gaines is propsing an addition to the legislature's wildfire Conference Committee's legislation that would make it a mandatory felony for committing burglary or grand theft within an affected county in a state of emergency, local emergency or an evacuation order from various types of disaters. Looting cases have been reported in the wake of wildfires in Santa Rosa , Shasta County and following the Oroville Dam Spillway Evacuation. The biggest fire threat in the Northstate remains the Hirz Fire east of Lakehead and Northeast of Redding. The fire that's burned more than 33 thousand acres is only 32 percent contained--the Carr Fire has burned more than 229 thousand acres but is 97 percent contained and the Ranch Fire in the Mendocino Complex has burned more than 410 thousand acres and is 93 percent contained. A vegetation fire in the Kelly Ridge area destroys one home. The Skyline Fire started on the 400 block of Skyline Boulevard around 3:30 Sunday afternoon. When fire crews arrived the fire had jumped across the road and was threatening at least six nearby homes. One home was destroyed by the fire, but firefighters were able to stop the forward progress of the blaze saving multiple other homes. According to Cal Fire, the blaze burned around 5 acres. One person was injured in the fire. The Butte County Sheriff's Office is investigating a suspicious death in Gridley. The sheriff's office received a report around 7 Wednesday morning of a body on the ground in a walnut orchard near Larkin and Ord Ranch road. Deputies arrived and located a deceased male. According to a Butte County Sheriff's Office press release, due to the suspicious circumstances surrounding the death, detectives are currently investigating this case as a homicide. Authorities say there is limited information at this time. They're asking anyone who may have seen or heard anything suspicious in the area Tuesday night to contact the Butte County Sheriff's Office Investigations Unit at 538-7671. 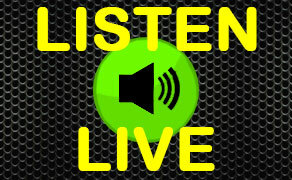 To Listen to the latest episode of the Marketing Mojo Minute with Valerie Reddeman from HERO CMO ...it's all about the "what"
35-year-old Victoria Shepherd of Chico was the woman charged with leading authorities on a chase that started in Oroville and ended in Chico early Monday morning. Just before 2 am Butte County Sheriff's deputies laid down spikes strips on Highway 99 to aid CHP officers who were pursuing an Acura heading to Chico from Oroville. The car was partially disabled but the Shepherd continued to drive the Acura into Chico where she allegedly damaged a power pole which started a small grass fire near the Neighborhood Church. According to a Butte County Sheriff's Office press release,the Acura ended up in downtown Chico where the pursuit called off. The pursuit was reinstated after the vehicle left the downtown area and Chico Police officers joined deputies in the chase. A second set of spike strips were deployed and the vehicle finally stopped in the area of Pilsbury and Cohasset roads where Shepherd was then arrested on numerous felony charges. Authorities believe Shepherd was under the influence of drugs. Chico Police arrest couple who buglarized a Redding Firefighter's vehicle. A City of Redding Fire vehicle was broken into, last Monday, while a firefighter was home in Palo Cedro for a brief rest from actively battling the Carr Fire. A backpack containing his laptop and hard drive was reported stolen from the vehicle. Two days later Chico Police received a report of shoplifting at the Sportsman's Warehouse on East Avenue. 33-year-old Brian Martinson and 40-year-old Jennifer Estes both of Palo Cedro were found and detained. During a search of the vehicle officers found the firefighter's backpack, but according to the Chico Police Department, the hard drive is still missing. A train verses vehicle collision leaves one person dead over the weekend. Officers arrived at the railroad tracks at West Sacramento Avenue 2:30 Saturday morning where they found a badly damaged vehicle. Firefighters extricated the driver and attempted lifesaving efforts. The unidentified driver was then taken to the hospital where he was pronounced deceased. No passengers or crew members of the Amtrak train were injured in the collision. Police believe the driver attempted to drive around the crossing guards. According to a Chico Police Department press release, the crossing guards were down and lights were activated when officers and investigators arrived. Police are investigating a shooting in downtown Chico that left one man dead. Officers arrived at the 6 hundred block of West 1st Avenue to find a man suffering from a gunshot wound laying out in the street around 4:30 Thursday morning. The victim, identified as 47-year-old John Dawson was taken to the hospital where he was pronounced dead. According to a Chico Police Department press release, detectives are now investigating the shooting as a homicide. Anyone with information on the incident is asked to contact the Chico Police Department 897-4911. Chico Fire Dispatch reported a vehicle verses bicycle collision in the area of Godman and East Lassen avenues before 8:45 this morning. The bicyclist was reported to have suffered a minor injury to his ankle. Medics at the scene said that the bicyclist declined to be taken to the hospital. Police are investigating a shooting in Chico this morning. Around 4:30 am the Chico Police and Fire Dispatch reported that a woman called 911 to report that she heard gun shots fired near Near East First Avenue. The woman then went outside where said she found her boyfriend suffering from a gunshot wound. The victim was reported to be breathing before medics arrived. He was taken to the hospital where he is being treated for his injuries. The area has been closed off while detectives investigate the scene. Officers responded to an armed robbery in downtown Chico over the weekend. Officers arrived to the area of West 9th and Ivy streets just before 10 Saturday night to find a man who said he was struck in the head with a firearm. The victim told police that three unknown Hispanic males approached him and allegedly robbed of his cell phone, his shoes, and his wallet. The three then fled the area on foot. Officers later found two of the suspects and they were positively identified as the suspects involved. The third suspect was not located. Both suspects were arrested for multiple charges and were booked into Butte County Juvenile Hall, that according to a Chico Police Department press release. The Butte County DA's Office says a Gridley woman admits to a deadly hit and run. 44-year-old Anne Montez plead no contest Thursday in a Butte County Courtroom to a hit and run in Gridley that caused the death of 48-year-old Maria Gomez. The incident happened back on April 1st when Montez was headed westbound on Magnolia Street when authorities say she struck Gomez as she was crossing the street. Authorities say Motez then fled the scene. Gomez later died of her injuries. Gridley Police detectives found a Mitsubishi Montero S-U-V believed to be owned by Montez in Sacramento. Montez turned herself into authorities 12 days after the incident. Montez is facing four years in State Prison. She is set to be sentenced in October, that according to the Butte County DA's press release. 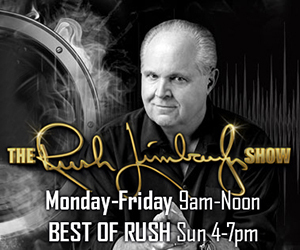 Presidnet Donald Trump congratuates Rush Limbaugh on 30th year of broadcasting audio/transcript. 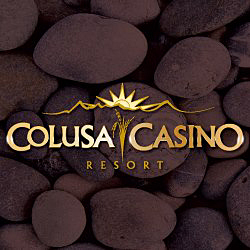 Colusa Casino Resort has allowed CAL FIRE to use a Land Use Agreement for the use of their southeast parking lot free of charge. The satellite location is a staging area for a CAL FIRE Ground Support Unit, emergency equipment and personnel. The repair operations will be on equipment being utilized to fight the eastern edge of the Ranch Fire. Colusa Casino Resort is happy to offer all CAL FIRE Ground Support Unit Personnel and Staff at the satellite location a complementary meal at Seasons Buffet. 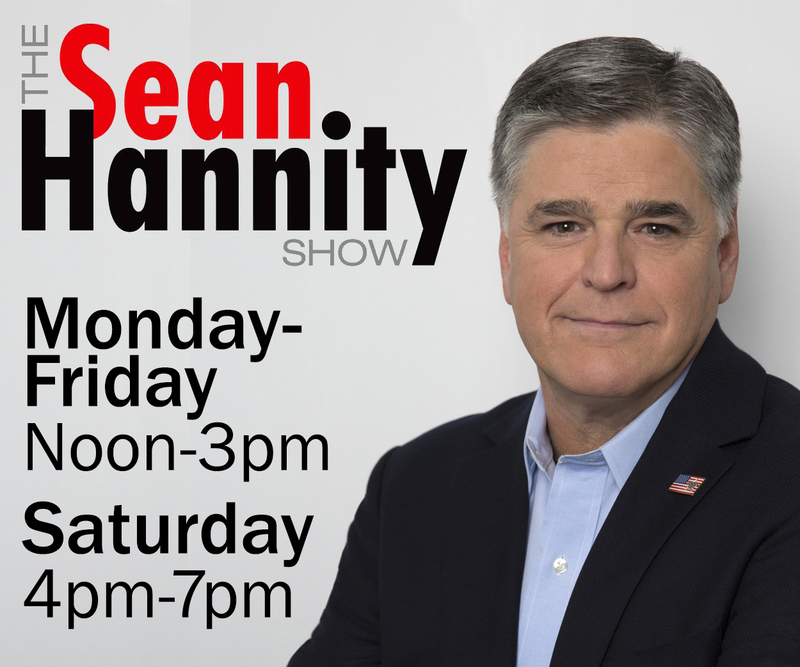 Sean Hannity Show will have the CEO of Twitter on-air. The Chico Police Street Crimes Unit made 25 arrests last week. That brought the ten week total to 250 arrests, that according to a Chico Police Department press release. Many of the arrests were due to violations of felony probation and possession of drugs & drug paraphernalia. 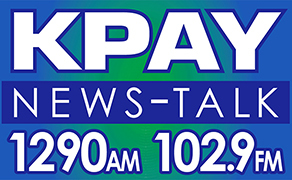 A clerk of the Valero Gas Station on the Skyway reported to police that a man had entered the store allegedly claiming he had a bomb inside his vehicle just before 6:30 Saturday evening. Police found the vehicle, with its doors and trunk open, parked next to a large propane tank. Officers set a large perimeter around the gas station and evacuated nearby businesses. Traffic was also diverted from the scene. The bomb squad arrived and after several hours determined there were no explosives inside the vehicle. According to a Chico Police press release, officers located the suspect on a B-Line bus and detained him without incident. He was admitted to the hospital for a three day psychiatric hold. Prepare for evacuation if in the south western portion of Glenn County, south of Rd 308 and west of road 306. Take time to prepare a go bag with medications, glasses, cell phone, charger, clothes, pet supplies, baby supplies, bedding and important documents. Be prepared to evacuate at a moments notice should the fire move north and this change to a manadatory evacuation. This is an advisory. Or text your ZIP CODE to 888777 for mobile alerts. The Carr Fire has burned 131,896 and is now 39 percent contained. Over 1,060 residences have been destroyed and 1,358 structures are still threatened. According to Cal Fire, low relative humidity and an unstable atmosphere have increased fire behavior. A Red Flag Warning has been issued through Saturday. More structures are being reported destroyed in the Carr Fire. The blaze which is burning in Shasta and Trinity counties has charred 121,049 acres and is still listed at 35 percent containment. According to Cal Fire, 1,058 residences have been destroyed and 185 residences have been damaged in the fire. Over 1,600 structures are still threatened. Cal Fire officials say there's a Fire Weather Watch that has been issued for this evening (Thursday) through Saturday. Last week Chico Police Detectives discovered information about the possible whereabouts of 37-year-old Timarie Bell who was wanted for an armed robbery and assault with a deadly weapon at a hotel on Main Street last month. Detectives contacted the U.S. Marshal Service and Bell was found in Sacramento Monday. Chico Detectives traveled to Sacramento Tuesday morning and transported Bell to Butte County where she will face charges.